So you’ve bought some ice cream and now your dog is looking at you with its big puppy-like eyes. You instantly ask, should I share some? Your answer is sadly, no you shouldn’t do it. Even though it is not downright a dangerous dairy product, it is still not considered a good treat for your little furry friend. It is always a good idea to understand which foods your dog can eat. Bloating- this occurs more often in larger dogs. If your canine eats ice cream (or any other type of dairy product) and shows any of these above mentioned symptoms 30 minutes to 120 minutes later, then you can be certain that he is going to be very ill, which is why you should quit giving him dairy products. How Much Ice Cream Should I Give It? iIf you are unsure of whether your dog is lactose intolerant or not, try feeding him a small quantity of ice cream and keep an eye open for any potential symptoms. You should know by now that chocolate is pretty bad for a canine’s health. And even if you are planning to feed a little ice cream to your pooch, make sure you stick to vanilla and avoid other flavors such as raisins, cookies and cream, and hazelnut. As discussed, artificial sweeteners used in dairy products, especially xylitol, can be deadly to dogs and should be kept away from them at all costs. Also, xylitol is like sugar in terms of appearance and taste, but it carries fewer calories, yet it still isn’t good for fido. However, if you must feed your dog some ice cream, make sure your dog is not lactose intolerant and/or diabetic, and the ice cream has low sugar content along with zero toxic elements such as chocolate and artificial sweeteners. Even if all these things are true, that does not mean that you can allow your dog to start binging on the dessert – allow him small quantities that too only a couple of times in a year at most. One of the most common times when dog owners like to surprise their canines with ice cream is on their birthdays. Feeding him ice cream once a year ensures your dog doesn’t feel left out and also adds an element of surprise. In addition to that, feeding a canine a little bit of ice cream on its birthday isn’t going to make it ill. 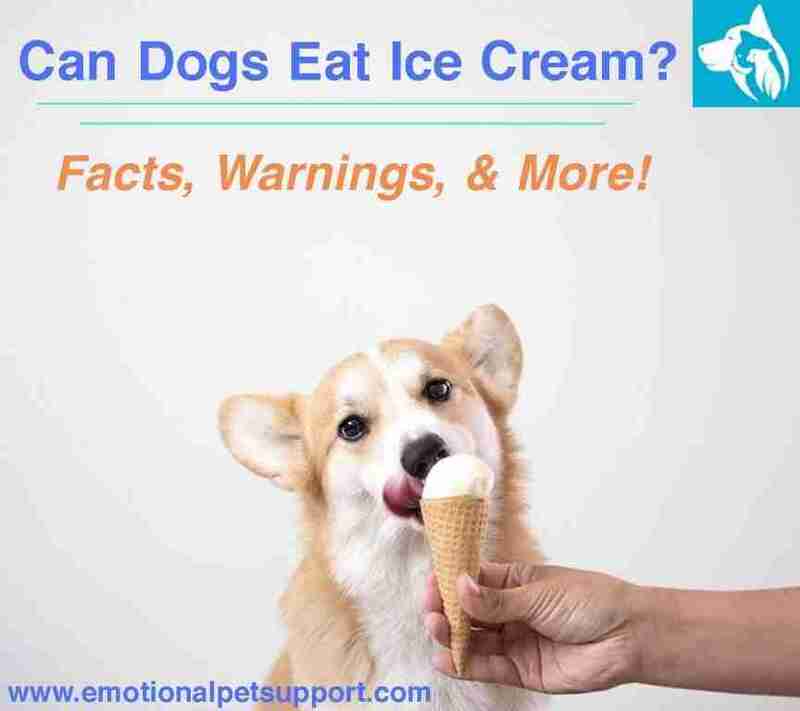 Ultimately, ice cream is bad for your dog. There are just too many things to look out for and on top of that, it lacks nutrition and does not bring any true health benefits. 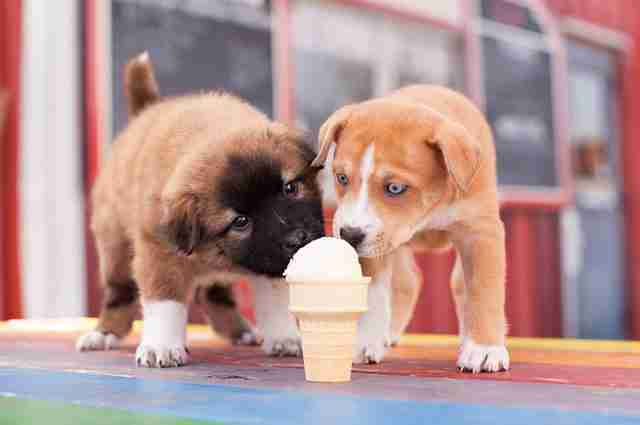 Even though your pup may love the taste of ice cream, there is a plethora of reasons to not give it any at all. We have chart that can help illustrate the 27 toxic foods for dogs, sugar is one of them.